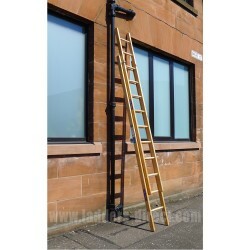 Constructed in Glasgow at the Clow Timber Ladder Factory this dual section timber extension ladder can be manufactured as a Light Timber Pointer Window Cleaner's Ladder. Provides a maximum load of 150kg. Availability: Manufactured to order, (currently 2-3 weeks). 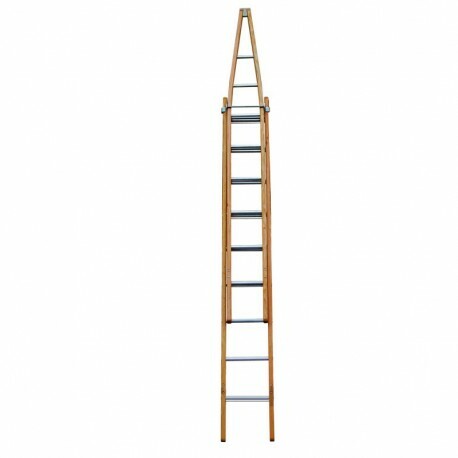 The Clow Light Trade Workmans' Extension Ladder is an ideal timber ladder for both light trade and commercial working and is available with either timber or aluminium ladder rungs. 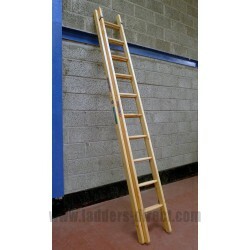 With an amendment to the design these ladders can be manufactured as Pointer Window Cleaner's Ladders. 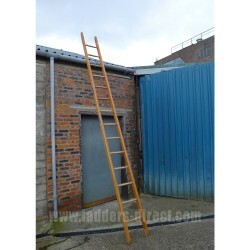 As a Pointer ladder it lies outwith classification, however the original design of the Light Trade Timber Extension Ladder design conforms with previous EN131-1:2007+A1:2011, EN131-2:2010 and EN131-3:2007 specifications and provides a maximum load of 150kg. During the transition period between the old and new standards ladders manufactured to the previous specification are still available while testing and approval of new specification ladders is completed. Hard wearing rubber blocks are double riveted to the bottom of the ladder to ensure hard wearing usage. A rubber block is also fitted at the top of the ladder which engages with the mullions and the angles of windows etc. Manufactured to order in the UK at the Clow Group's Timber Ladder factory in Glasgow. 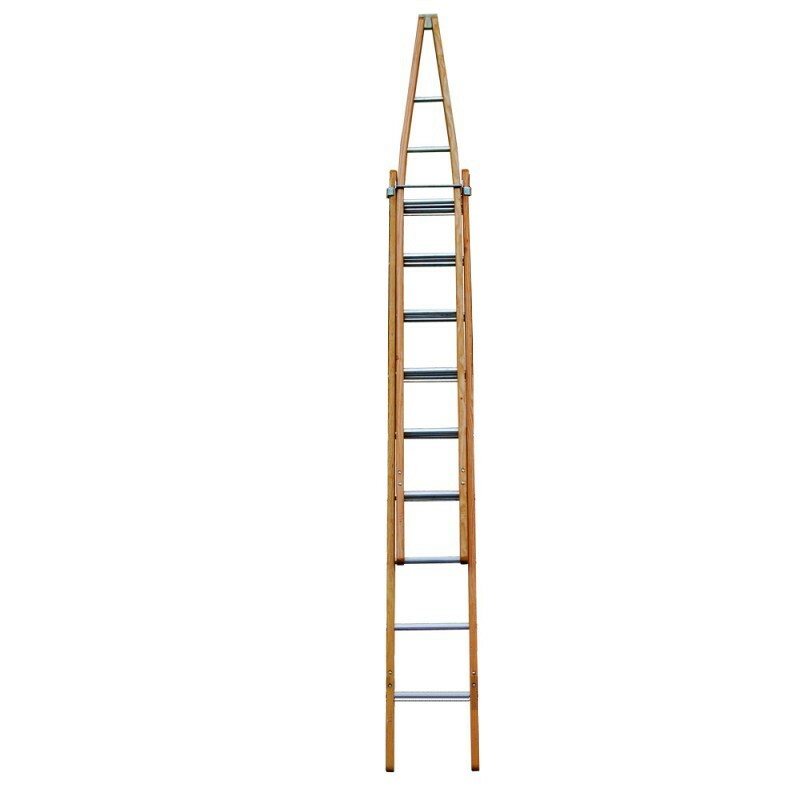 The Light Trade Workman's Extension Ladder is available with wire reinforcement. 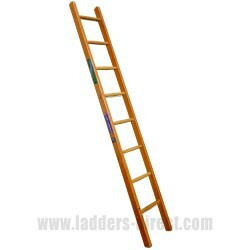 Please see Light Trade Wire Reinforced Pointer Window Cleaner's Extension Ladder for more information.